Losing your teeth is not always a sign of poor dental hygiene and a number of reasons – from injury to advanced age – can be the cause. But regardless of what the reason may be, missing teeth can make you feel ashamed or unhappy. Missing teeth can also lead to greater health problems as eating can become very difficult. But there is an acceptable solution to missing teeth: dentures. Our staff are continually learning new technologies and putting them into practice, which means that we can offer you the latest in dentures so that you can rebuild your smile and confidence. We offer full or partial dentures. 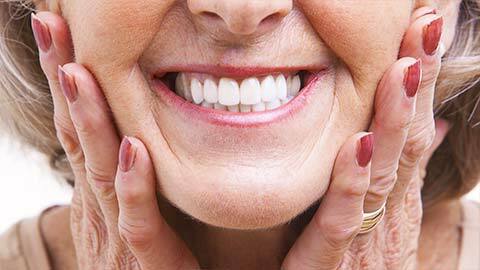 Full dentures are when most, or all, of your teeth are missing. Partial dentures are inserted in areas where only a few teeth are missing. 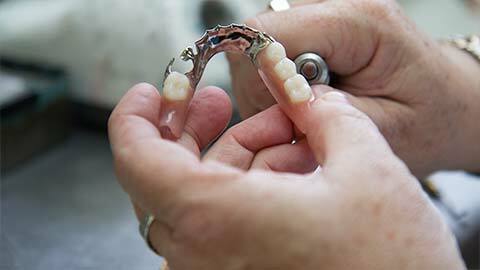 Partial dentures are also sometimes referred to as bridges. In both cases, the dentist will create a set of dentures that are colour matched to your existing teeth, are custom fitted to your mouth, and will look and feel like real teeth. If you are missing a few, or many teeth – there is no reason to fret. We are here to help you rebuild your smile and your confidence! Call us today for a consultation about what kind of dentures are right for you.